I have been having some fun in My Creative Space this week. I have enjoyed making these fabric head bands so much. They are so simple and quick to make, I wish I had thought of the idea. 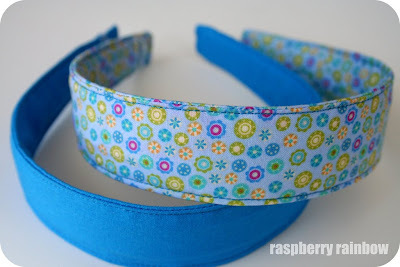 I adjusted the width, and voila, cute, easy to make head bands to match every outfit. 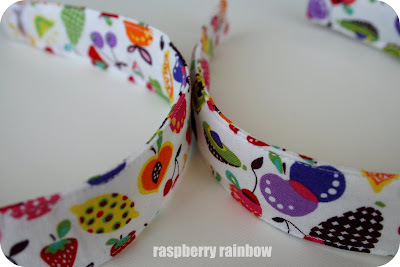 Fruity ones for my two girls, as I have decided this fabric is simply divine, and must be worn. As often as possible. Especially with frilly bloomers. Squish. You will have to trust me, they are adorable. 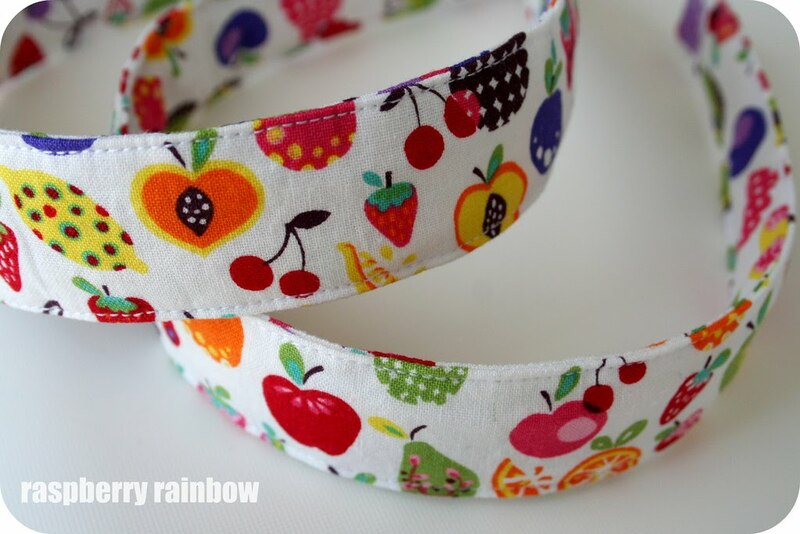 That fruity fabric is supercute! I can see why you can't resist. They are all very sweet & I LOVE those bloomers, adorable! 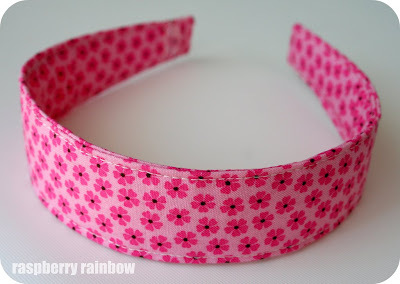 Great looking headbands, the fabrics are all so fresh and funky! what ace fabric very summery love it!! Gorgeous. Love the fabric you've used. Particularly the top two! I love the fabric! I love headbands too & yours look great... I'm just jealous, I can't wear headbands, I must have an odd shape head cos they keep sliding off! I love how they have turned out! Great fabric choice. Super cute - I love accessories for little girls and they've turned out great!! Very very cute indeed. You did a great job! 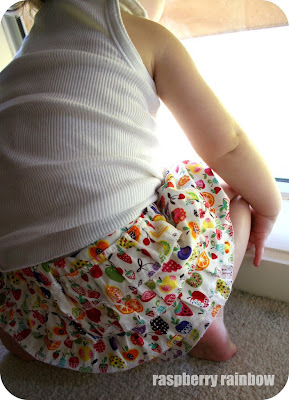 Love love love the frilly bloomers, that fabric is to die for! Oh yes must be worn , just gorgeous fabric and the bloomers are too cute ! How neat! I love the fruit fabric. Wow love that fabric and those headbands are divine. How cool to make some to match your friends little girl's uniform. I bet she was thrilled. I can see those bloomers must look divine! I love that fruity fabric so much! the headbands look great too, wonder who I could make them for? Completely love that bright fruity fabric - and those headbands are the best idea!! Those are amazing! My daughter loves headbands and I rarely see her go a day without one. I love the fabric you chose. I am going to have to try those! 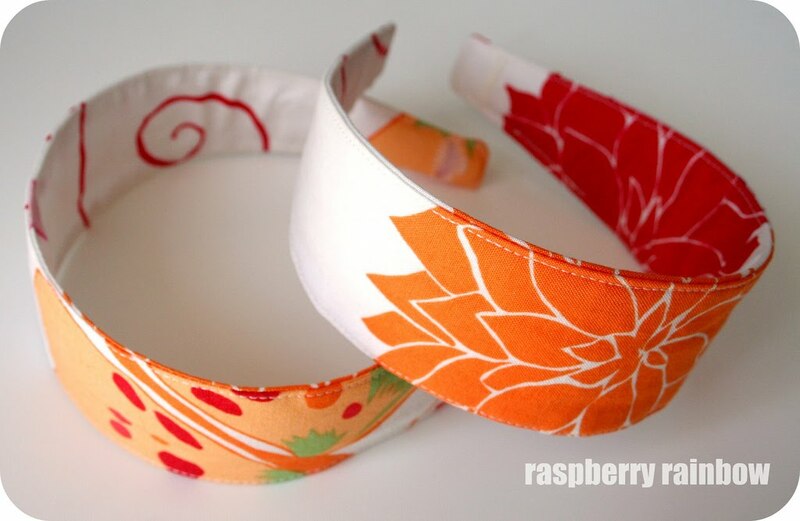 Gorgeous headbands - I LOVE your vibrant fabric choices. And those frilly bloomers are way too cute! Those headbands are adorable ...I will have to put them on my to do list for my daughter. Thanks for sharing.